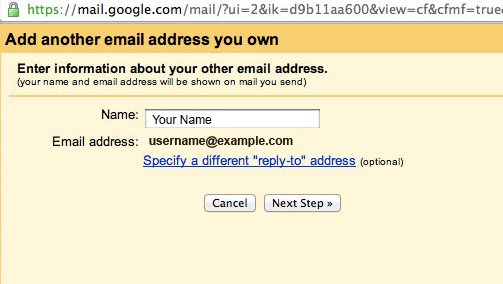 This instruction will show you how to properly setup Gmail to POP your mail accounts at Wed Designer Domains. Gmail is a free, advertising-supported email service provided by Google. An ad-free version of Gmail is available though Google Apps for Work. Google Apps provides independently customizable versions of several Google products under a custom domain name. To learn more about our Google Apps for Work, ask your Web Designer Domains Specialist. This tutorial is provided as a courtesy. Web Designer Domains cannot support software provided by third parties. 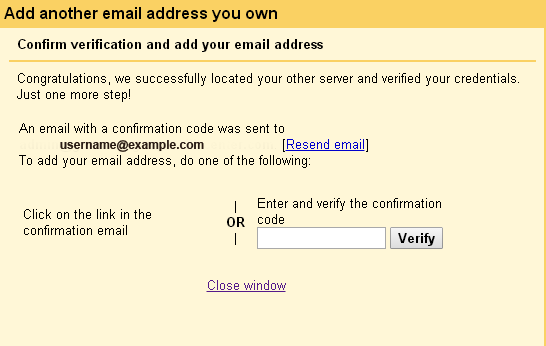 If you have further questions about configuring Gmail, please visit http://mail.google.com/support/. Please take a moment to review the Statement of Support. The screenshots below are settings for using POP with no SSL for username@example.com. You may also configure IMAP if you choose. 2. Click on the settings icon in the upper right corner. 4. Click Add POP3 email account in the Check mail using POP3 section. A new window will pop up. 5. Enter your full email address in the new window and then click the Next Step Â» button. 1. Your full username including the @example.com. 2. The password for the account. 3. Make sure the POP Server is mail.example.com, or your IP address, and Port 110 is selected. 4. Check “Leave a copy of retrieved message on the server” unless you want the mail to be deleted from the server once you receive it in Gmail. NOTE: Do not check this option if you do not want to use encryption. 6. Set the label and the archive options according to personal preference. 7. Click the Add Account Â» button. You should receive a confirmation message. Leave the “Yes” option checked if you want to be able to send mail with this account. Click the Next Step Â» button. 8. Enter a descriptive name you want to associate with this account. Click the Next Step Â» button. 1. The server name, mail.example.com, or your IP address. 2. Select your port from the dropdown menu. Use Port 25, or 465 for SSL encryption. 3. Your full username, including the @example.com. 5. Check the SSL option if you want encryption. Again, you may have to purchase an SSL certificate for this to work without warnings: Don’t check it if you don’t want the encryption. 6. Click the Add Account Â» button. 10. Log into your webmail account. 11. Open the Gmail confirmation email. small window will close automatically. 14. The Accounts and Import tab is also where you can manually get the mail from your Web Designer Domains account. Click “Check mail now.” You do not need to do this to get your mail. This just forces a manual check. Congratulations! 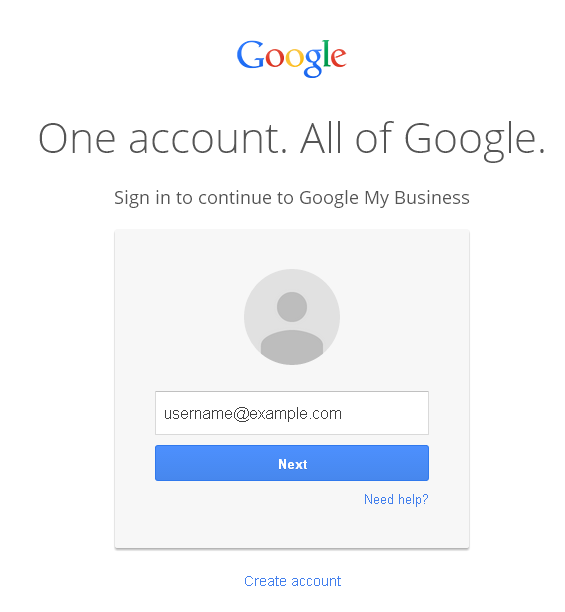 The mail on you Web Designer Domains account will now appear in your normal Gmail inbox.